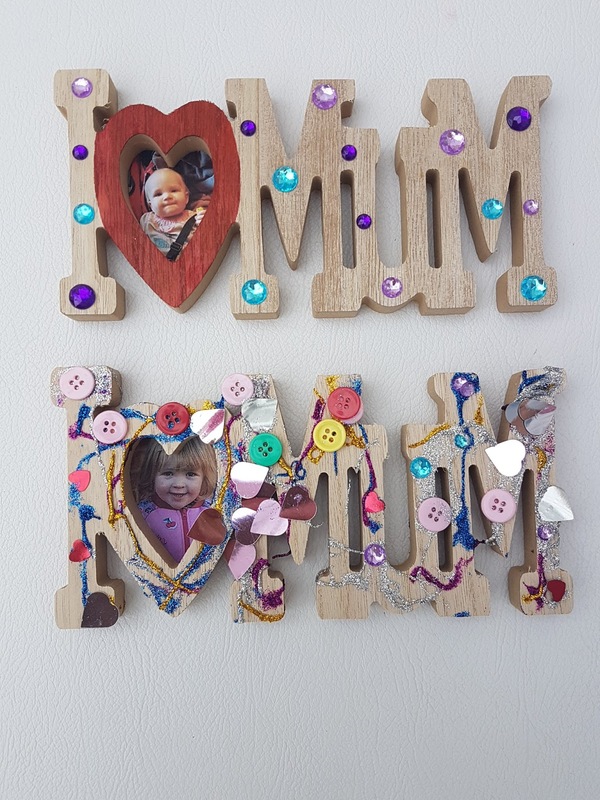 These really cheap and effective picture stands were a huge hit with all the mums this year! 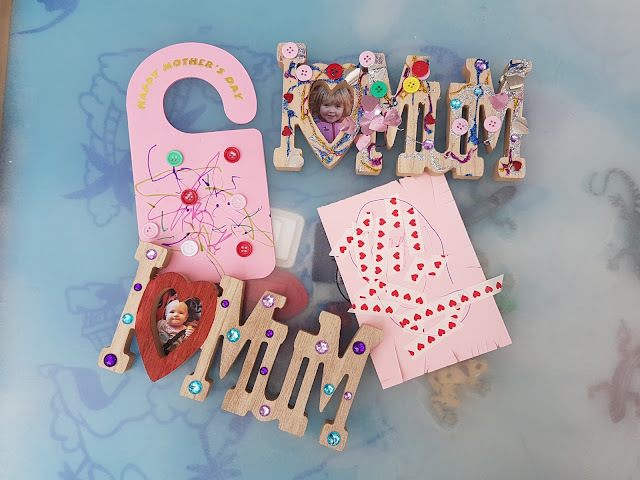 I found the wooden frames in Poundland for £1 each and then picked up a couple of packs of sticky gems, table confetti hearts and a small pack of buttons. We also used glitter glue, sharpies and acrylic paint to make each one individual! Even the very little ones were able to make them colourful and unique! By adding a small picture of the child in to the heart we made it even more special for mum! HOW TO MAKE…….. A PAPER PLATE WREATH!